ComplianceQuest is a 100% cloud based Enterprise Quality Management Software (EQMS). Built using Salesforce.com, it is a tool for accelerating an organization’s growth from anywhere, anytime and through any device. It empowers enterprises to manage quality by collaborating with their supply chains – whether global or local – and even several layers deep, to stay compliant with industry, country and customer specific regulations. The Florida based organization has already bagged several awards including the CIO Review 20 Most Promising Digital Experience Solution Providers 2017, and Frost & Sullivan 2017 North American EQM Entrepreneurial Company of the Year Award. Quality management is a dense subject. Think AS9100, 21 CFR Part 11, IATF 16949, ISO 9000, and so on so forth. Keeping the FDA and other regulatory bodies satisfied by staying consistently compliant is a tough ask. Convincing prospects that ComplianceQuest has what it takes to help their organizations become compliant, was even more so. Presenting the product's value proposition in a conversational manner and within the audience's attention span was a challenge. While the website was being revamped, the client decided to develop a series of videos to explain the value proposition of each of their solutions. There are 11 solutions at the moment - Audit, CAPA, Change, Complaints, Document, Incident, Equipment, Inspection, Non-Conformance, Supplier, and Training. I decided to be a little creative, and instead of using the run-of-the-mill formats for product videos, I 'storified' the entire offering. 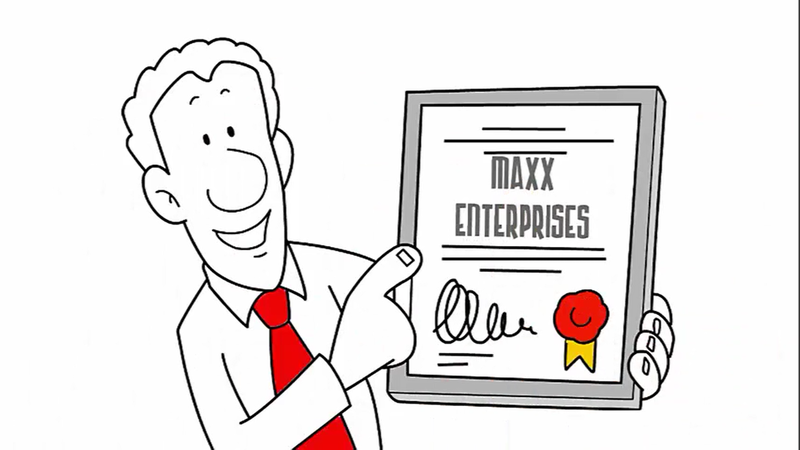 So, we created James, the Founder of Maxx Enterprises, a manufacturer catering to businesses operating in highly regulated industries. We gave him a team in the form of Meg, the CIO; Sheila, the Document Administrator; Pete, the Factory Floor Manager; Bob, the Author and Quality Manager, and several more characters. James would introduce each solution by ComplianceQuest and describe how his organization is using it to tackle a business/operational challenge. The other characters served to demonstrate how that particular solution added value to their role. Initially we experimented with multiple voiceovers but that didn't work out. Maintaining the word limit to 450 approx. was a challenge since each solution's value proposition had to be recounted in detail. The script had to be based on detailed solution flows. The solution videos have helped ComplianceQuest connect better with their audience. By simplifying the value proposition of their platform for their prospective customers, they've accelerated the customer acquisition process.